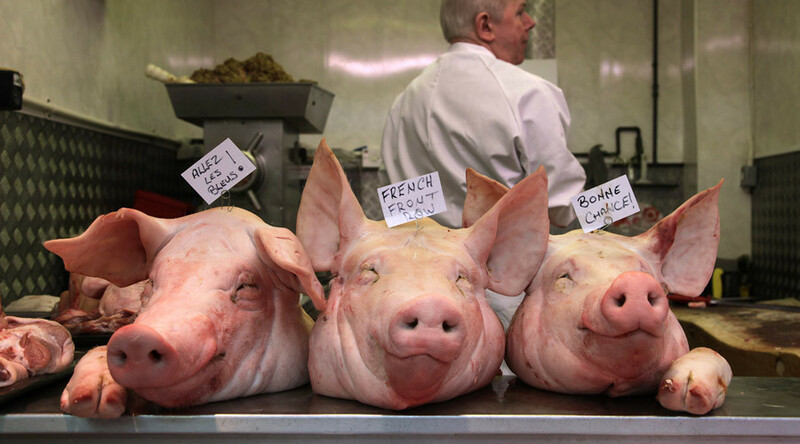 Two pigs’ heads have been found dumped outside a Muslim boarding school in Lancashire, it has emerged. Police are treating the incident as an Islamophobic hate crime. One head was thrown over the fence of Markazul Uloom boarding school in Blackburn, which accommodates boys and girls aged 11 to 18. The second head was discovered by the school gates. Lancashire Police were alerted at around 08:30 a.m. GMT on Saturday. The perpetrators are believed to have committed the crime between 5:00 p.m. GMT last Friday and the time police were called. The incident is being treated as a hate crime, as eating pork is forbidden in Islam. In a statement, Blackburn Police Chief Inspector Sheena Tattum said: “This is being treated extremely seriously and we understand the concern that incidents like this, while thankfully rare, can cause in the community. “We have put extra patrols on in the area to try to offer some reassurance. “An investigation is underway to identify those responsible and a team of detectives are carrying out numerous inquiries. This isn’t the first time a pig’s head has been discovered near an Islamic institution, place of worship or in the vicinity of Muslim refugees. Earlier this month, police in Australia launched an investigation after a pig’s head was found in the toilet of a Muslim prayer room. This incident came less than two weeks after 14 pig heads were left at a refugee center in the Netherlands. In May, figures obtained by RT found racially or religiously aggravated harassment crimes in Britain increased from a total of 15,249 to 17,605 between 2012 and 2014.